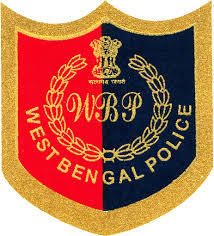 The west Bengal Police Board conducts the constable recruitment exam for candidates who are excited to get recruited to this post. Before preparing for any exam it is important to know the syllabus of the exam. Once that is done the candidate can start the preparation for the exam. To solve the questions of reasoning, it is important to practice these questions over and over again. Various books are available in the market which the candidate can use to improve on the reasoning section of the exam. For the mathematics section, one can use the elementary level books since the questions asked are of the Madhyamik level. To score well in the English section the candidate can refer to the books of intermediate and high school level which cover topics of tenses, parts of speech and Gerund and others. For the general awareness section, the candidate can use the online available material and can also refer to the general awareness books which are easily available in the market. Various sites offer practice tests which will help the aspiring candidates to be well prepared for the examination. After Complete PHYSICAL MEASUREMENT TEST (PMT) & PHYSICAL EFFICIENCY TEST (PET) then FINAL WRITTEN EXAMINATION.